Hi guys! I hope you're all enjoying your weekend and having fun. I'm honestly trying to take it easy this weekend and catch on some of the packages I received. I love being able work on my passion and have such wonderful followers who are so supportive of what I do. Another passion of mine that you probably wouldn't guess is poker. For a long time, I was considering taking up a professional poker career but it wasn't meant to be. I still have a huge amount of love and respect for the game till this day. So knowing that little bit about me, you guys will understand why I'm extremely excited to show you what I have in store for today. Say hello to the Vegas Baby! Collection by Little Nail Girl. This is a three piece collection inspired by the beautiful sin city. Get ready to sparkle and shine like a diamond as we take a closer look. Also I'd like to say I know my nails look a bit different than they do in these photos, but that's because these were taken about three weeks ago. 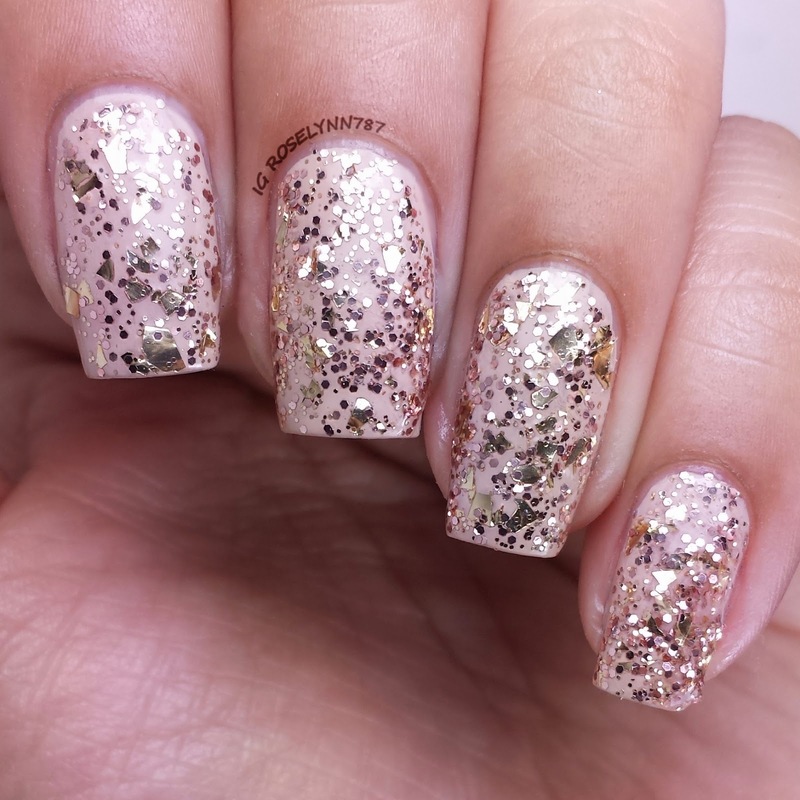 Casino is a pretty clear base glitter topper filled with gold glitter in various shapes. The gold glitz is a lovely representation of where the 'magic' happens. A definite must-have for any collection missing a gold glitter topper. Swatched over Sandstorm by Sally Hansen, used two thin coats, and sealed with a topcoat. While it is a clear topper, you can layer it a couple of times for a fuller look. The photo below this description is a swatch without any base color and using three thin coats. Good formula and consistency, didn't give me any issues with fishing or clumping. I would definitely suggest sealing this beauty with a glossy thick topcoat for a great finish. 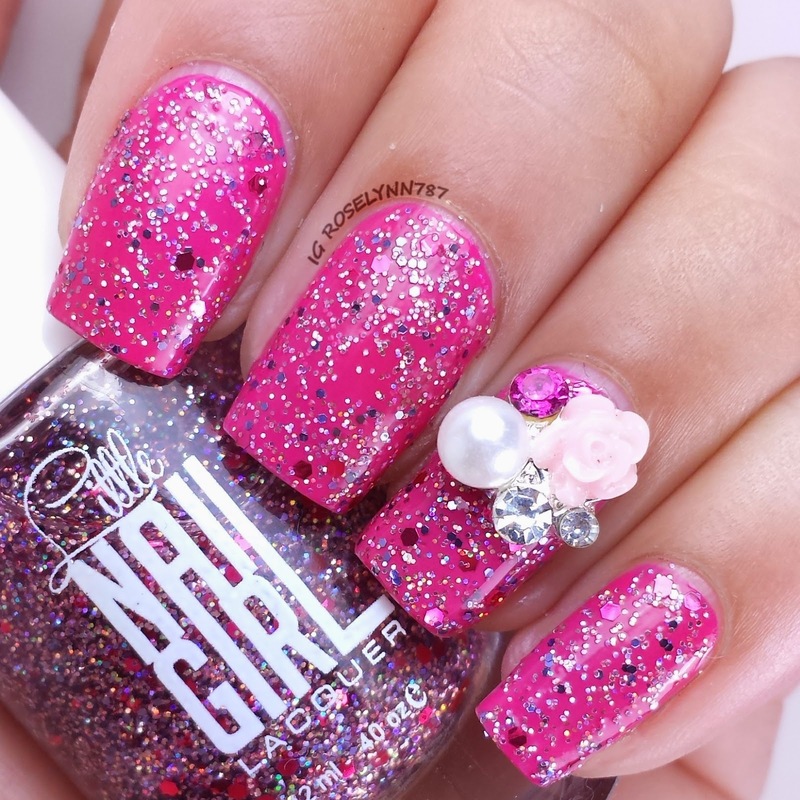 Showgirls is a clear glitter topper filled with bright pink hexes and other multi-colored glitter. Really like the feminine touch with this one. 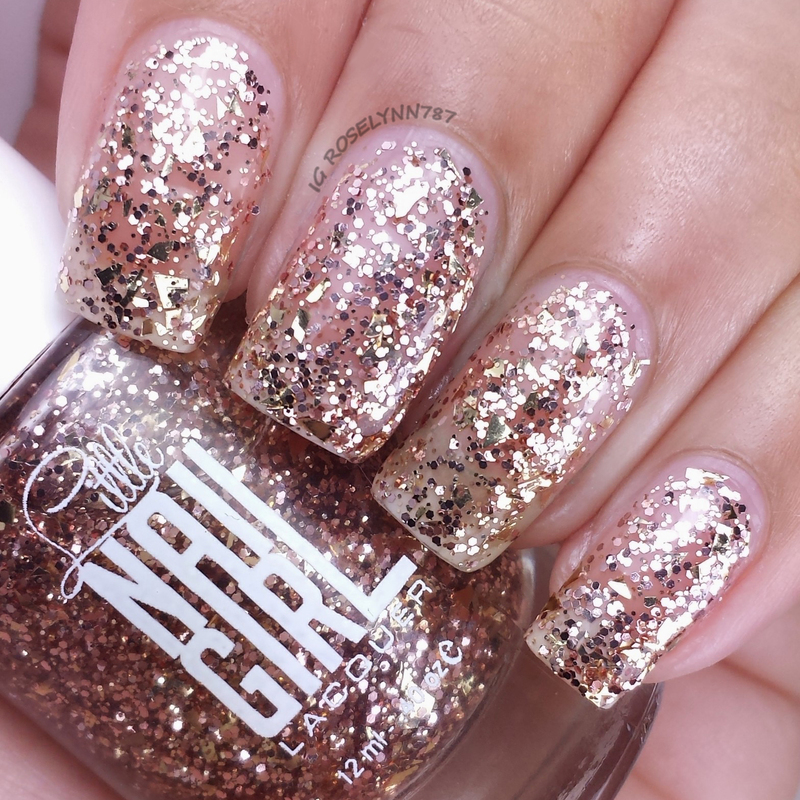 Made me feel like one of those dolled-up showgirls in Vegas rocking a glitter heavy mani. My only wish would of been for it to have even more pink glitters, but that's just my preference. Swatched over Hey Baby! by OPI, used two thin coats, and sealed with a topcoat. Personally I love how it looks over a bright pink undie, but in case you guys wanted to see, below is a swatch using three thin coats. Formula was pretty good and didn't require me to go glitter fishing for any in particular. If you do decide to use it without an undie then perhaps use four layers for a bit better coverage. Fair warning because anything more than three layers does make any polish crack easier. So keep it thin. 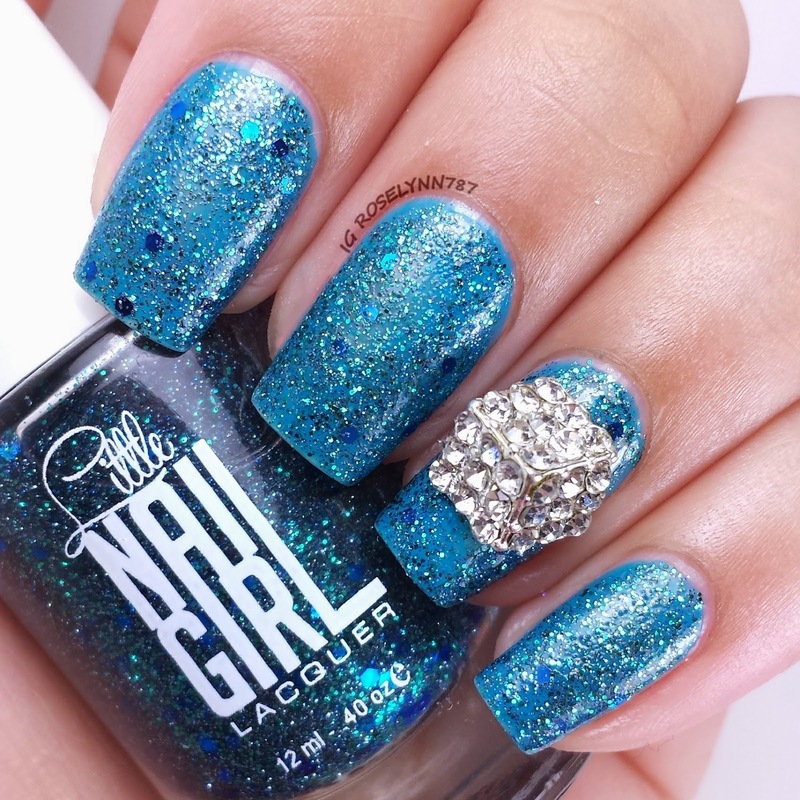 The Strip is a sheer glitter topper with with blue and teal glitters of various shapes and sizes. It shouldn't come as a surprise for me to say this, but I'm marking this one as my favorite. Love all the teal things. Out of the three, it has the fullest look when swatched without an undie. Swatched over Let's Get Lost by Essence, used three thin coats, and sealed with a topcoat. 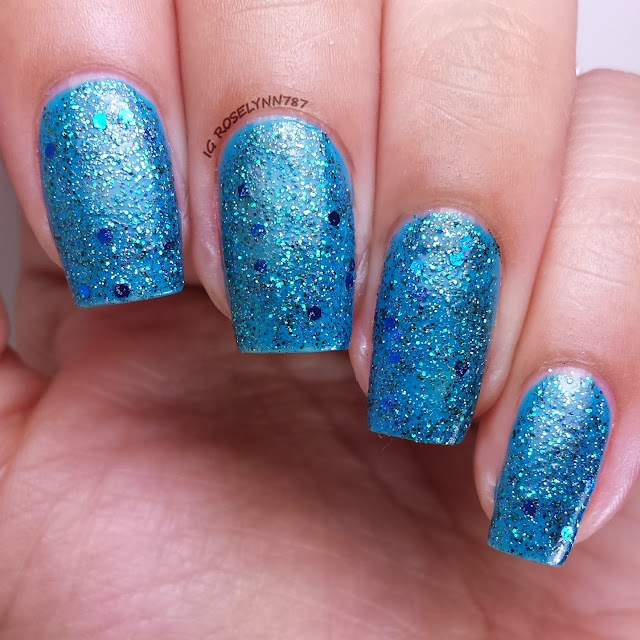 As with the others, great formula, consistency, and no need for glitter fishing. Three coats is the ideal number with or without an undie. I have to say, in this case I prefer how the glitter looks on its own and would even say maybe add a very thin fourth coat. Overall Vegas Baby! by Little Nail Girl is a great collection for those among us who are glitter lovers. Very cute and sassy glitter combinations for eye-popping manis. I think all the colors look amazing against my skin-tone, which is a pleasantly surprising (especially with Casino). Great formulas all around with equally as good consistency. 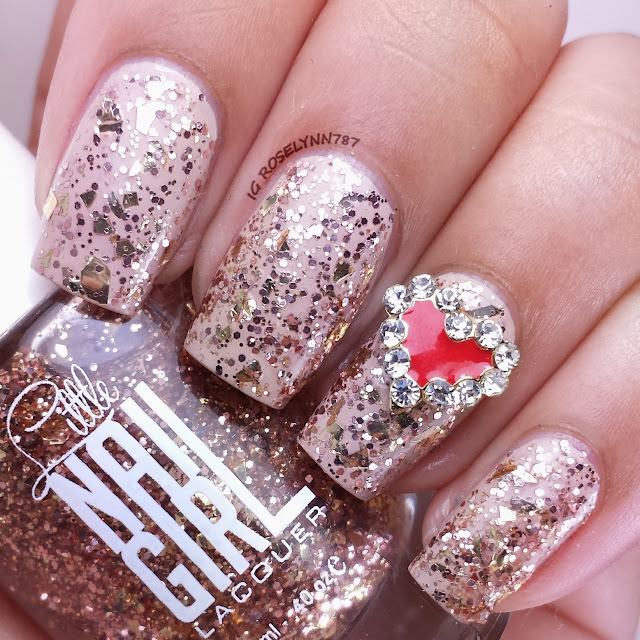 You can't go wrong with glitters! Vegas Baby! 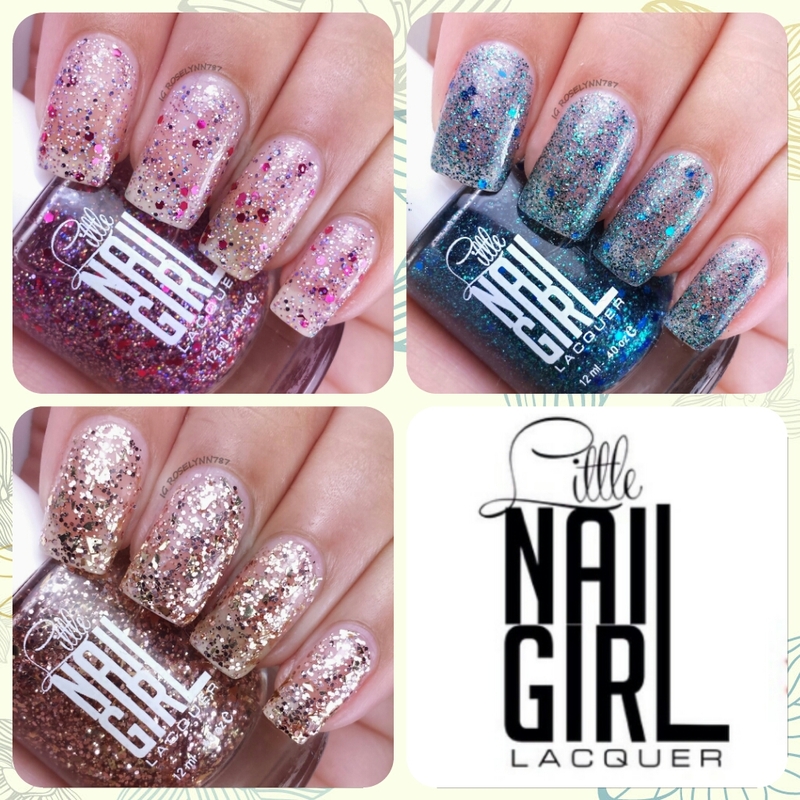 Collection by Little Nail Girl is now available for purchase and retails for $24.00 for the trio.